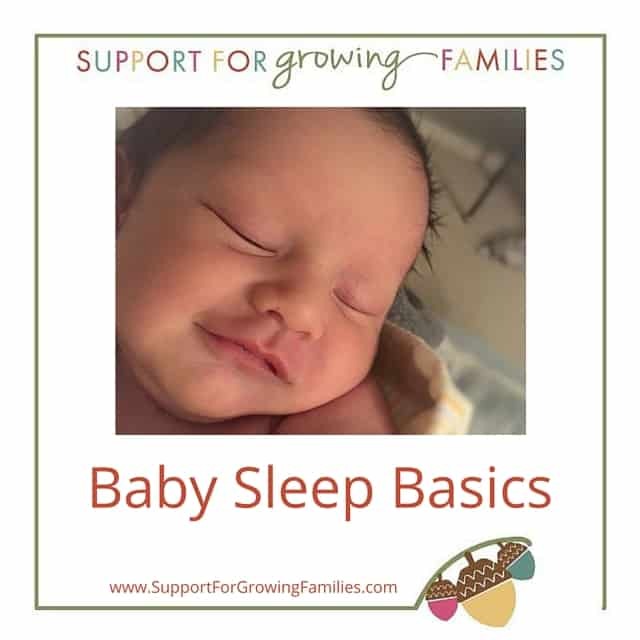 Sleep: yours, your partner’s, the baby’s….where do we begin? Society would have us focus on the babies and the correct way to “train” them to sleep well. But wading through the conflicting information (which all seems to be supported by research) in your state of exhaustion only adds to the confusion. That’s why this rant about sleep advice went viral! Every family has its own challenges, values and strategies regarding sleep which require individual attention rather than blanket, one-size-fits-all advice. However, as a postpartum doula, I have found that families do best with problem-solving when they have some basic information about how babies sleep. Babies go to sleep differently than adults. Infants take longer to fall into a deep sleep state (10-30 minutes after closing eyes). Most newborns need to be “parented” to sleep by holding, walking, rocking, etc. rather than being put down drowsy or in a light sleep. Between 3-6 months babies begin to drift more quickly into deep (non-REM) sleep. At this time, they can be put down awake or drowsy. Some babies can be put down when drowsy sooner, but if yours can’t, there is no need to worry! Holding babies doesn’t “spoil” them, or train them to need you. They do need you, and when you meet their need for comfort, movement, and closeness, they will eventually develop the ability to sleep more independently. Trust your babies. They won’t manipulate you. They will grow and develop, so meeting their needs now won’t mean you have to do the same thing forever. Trust yourself, too. If your gut tells you that your baby has a problem which is impacting their sleep, check it out. Keep looking until you find the resources and guidance that you trust. As a starting place, of course, begin with your health care provider. You could also view my Resource Guide, (sign up for it at the bottom of any page on my website), try these “Six Sleep Experts Worth Following”, or contact me for postpartum doula support.